On September 14, 1969, Private First Class Judy Talton celebrates her nineteenth birthday by secretly joining the campus anti-Vietnam War movement. In doing so, she jeopardizes both the army scholarship that will secure her future and her relationship with her military family. But Judy's doubts have escalated with the travesties of the war. Who is she if she stays in the army? What is she if she leaves? When the first date pulled in the Draft Lottery turns up as her birthday, she realizes that if she were a man, she'd have been Number One--off to Vietnam with an under-fire life expectancy of six seconds. The stakes become clear, propelling her toward a life-altering choice as fateful as that of any draftee. 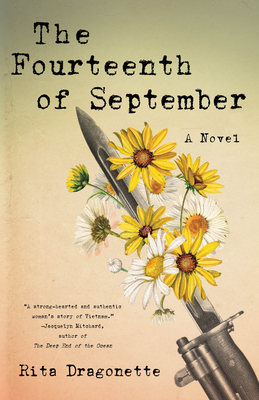 The Fourteenth of September portrays a pivotal time at the peak of the Vietnam War through the rare perspective of a young woman, tracing her path of self-discovery and a "Coming of Conscience." Judy's story speaks to the poignant clash of young adulthood, early feminism, and war, offering an ageless inquiry into the domestic politics of protest when the world stops making sense.